WASHINGTON — Democrats say they want “all of the underlying evidence” in special counsel Robert Mueller’s investigation. But what is all of that evidence? Mueller’s team issued more than 2,800 subpoenas, executed nearly 500 search warrants and interviewed more than 500 witnesses. That means the special counsel likely compiled thousands, if not millions, of documents and pieces of evidence. Material collected ranges from a $15,000 ostrich jacket worn by President Donald Trump’s former campaign chairman to emails and encrypted text messages to hard drives and laptops. It could even include tax returns, if Mueller sought them. In one Mueller case, that of longtime Trump confidant Roger Stone, the government said it had turned over 9 terabytes of discovery — an amount so large that Stone’s lawyers said if it were on paper, it would pile as high as the Washington Monument, twice. If all of that was delivered to Congress, the House Judiciary Committee might need to invest in a larger office space. But lawmakers say what they really want is documentation of everything — and an idea of how that evidence guided Mueller’s conclusions. “We don’t need to see Paul Manafort’s ostrich jacket, but we do need to know that it’s there,” says Maryland Rep. Jamie Raskin, a Democratic member of the Judiciary panel. The requests for underlying evidence are central to Democrats’ demands for Mueller’s full report. They say that they need all that information to make their own conclusions, and to ensure that Mueller’s findings are not filtered by Attorney General William Barr, who Trump picked for the job. While they may not need every single personal item seized by Mueller — like Manafort’s jacket, meant to show his lavish lifestyle, or the contents of Stone’s hard drive — they do want as much information as possible that is relevant to his decisions. House Judiciary Committee Chairman Jerrold Nadler, D-N.Y., has also said Democrats will fight for grand jury material. He said he talked to Barr on Wednesday and Barr wouldn’t commit to releasing it. “A judge would have to release those and we would hope a judge would,” Nadler said. 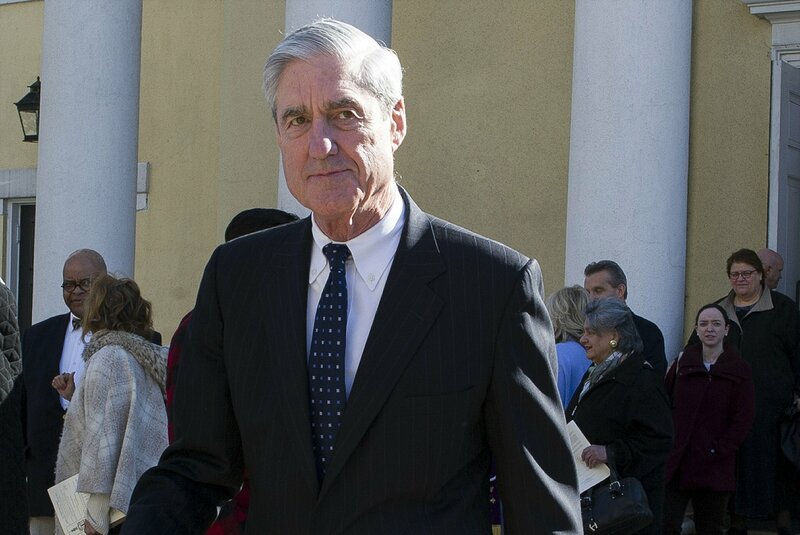 In a four-page summary of Mueller’s report released Sunday, Barr said the special counsel did not find that Trump’s campaign “conspired or coordinated” with the Russian government to influence the 2016 presidential election. It also said that Mueller reached no conclusion on whether Trump obstructed the federal investigation, instead setting out “evidence on both sides” of the question. Democrats say they want to know much more about both conclusions. It’s not clear what evidence the Justice Department might be prepared to release, but documents of enormous public interest would be summaries of FBI interviews with witnesses in the case. The FBI released similar records following the conclusion of an investigation into Hillary Clinton’s emails, including a write-up of the interview agents did with Clinton herself. In Mueller’s case, disclosure of witness interviews would almost certainly yield vivid, first-hand accounts from some of Trump’s closest aides and advisers — among them former White House officials Hope Hicks and Don McGahn — of the many episodes Mueller and his team scrutinized for potential obstruction of justice. Those include the firing of James Comey as FBI director and the constant browbeating of Jeff Sessions, Trump’s first attorney general. Schiff and other Democrats are leaning heavily on those precedents, along with the Justice Department’s recent release of hundreds of thousands of documents last year relating to the Hillary Clinton investigation and also the origins of the Russia investigation, which was ongoing at the time. Republicans sought those documents when they were in the majority; Democrats say the department can’t possibly deny them similar information now that they control the House. Republicans, meanwhile, have been deferential to Barr. Majority Leader Mitch McConnell, R-Ky., on Tuesday urged caution so as not to “throw innocent people who’ve not been charged under the bus.” He didn’t elaborate. Barr appears to be moving forward on sending Congress an additional, redacted report. Senate Judiciary Committee Chairman Lindsey Graham, R-S.C., said Wednesday that Barr told him he was combing through Mueller’s report and removing classified, grand jury and other information in hopes of releasing it in April. Democrats say that won’t be enough. “We’re not happy about it, to put it mildly,” Nadler said after his own call with Barr.